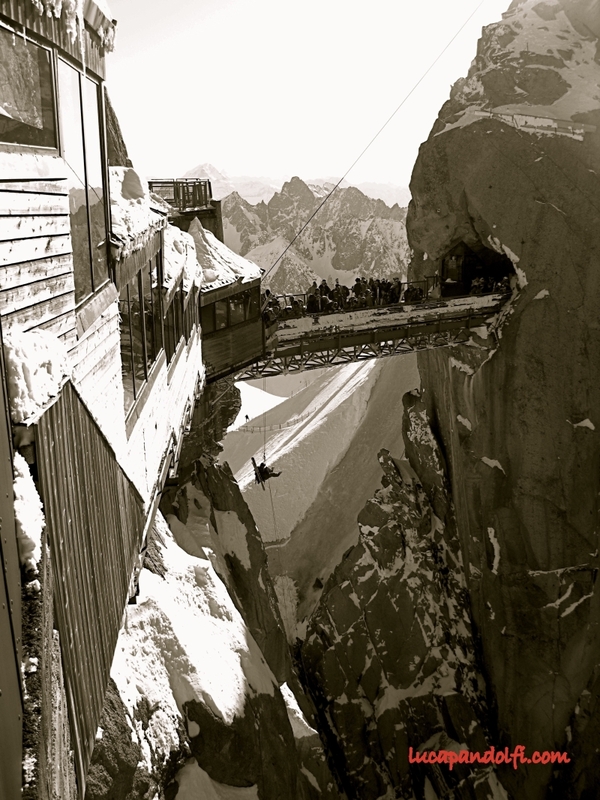 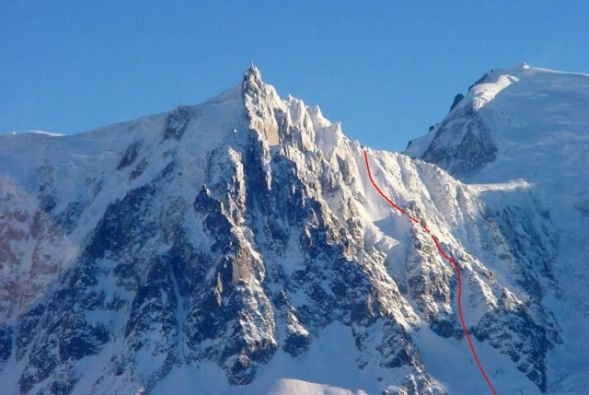 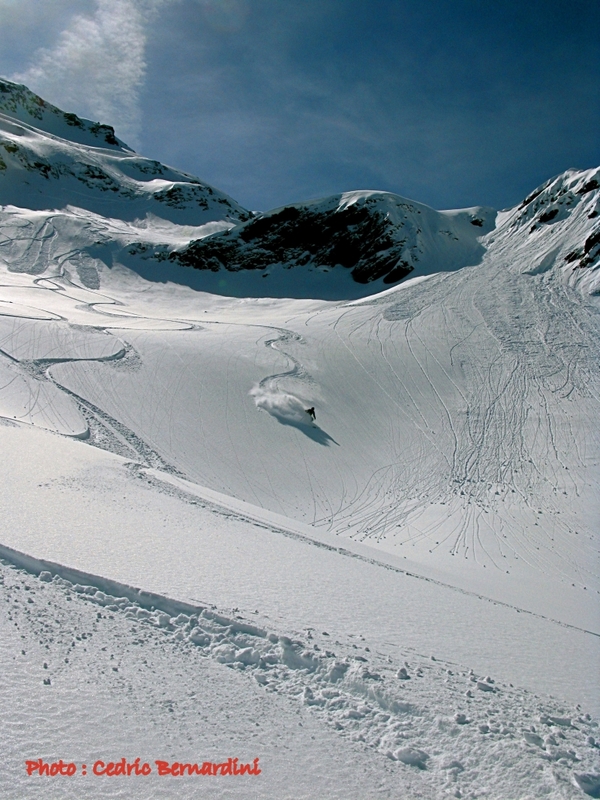 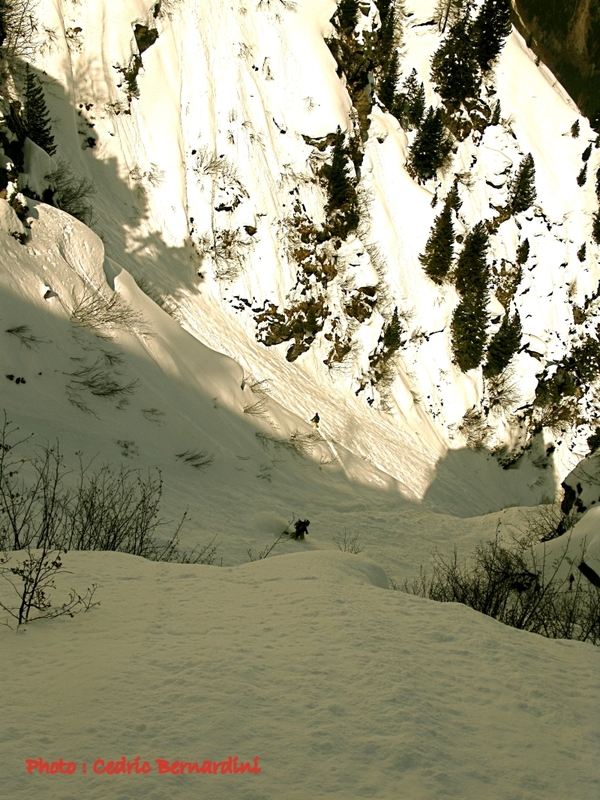 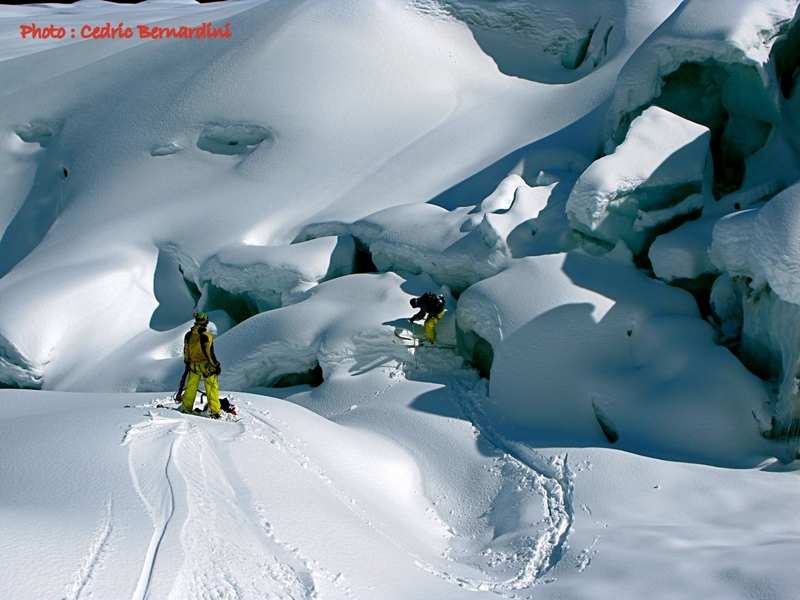 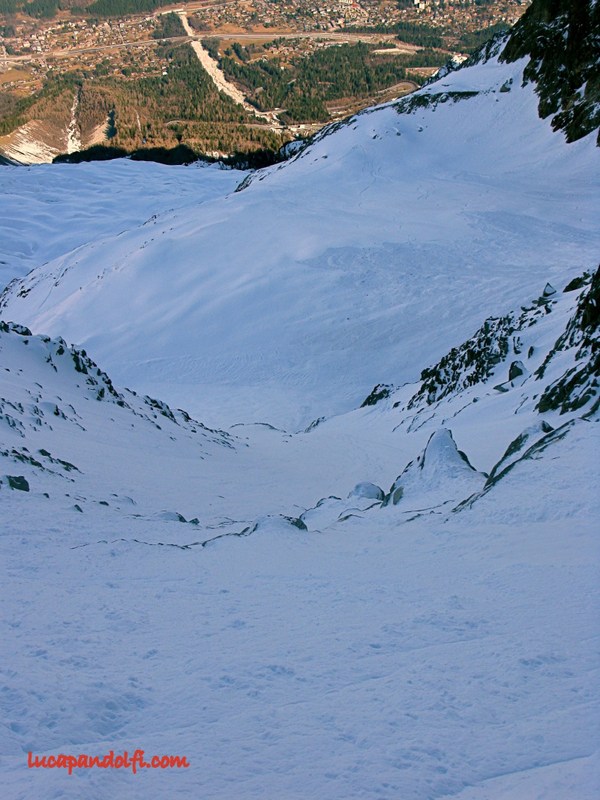 Also known as “the heart of the Ronde”, the Salopards variant is an alternative option (rarely in condition) to the exit couloir of the glacier Ronde. 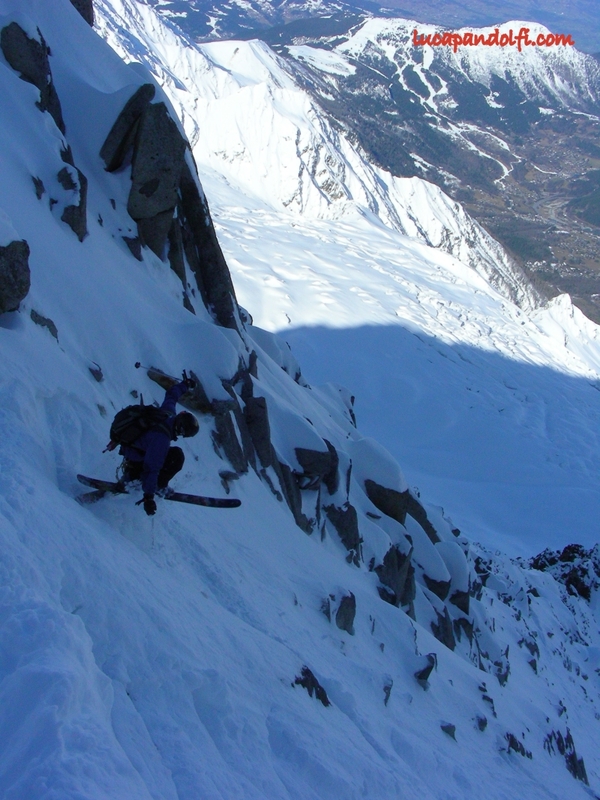 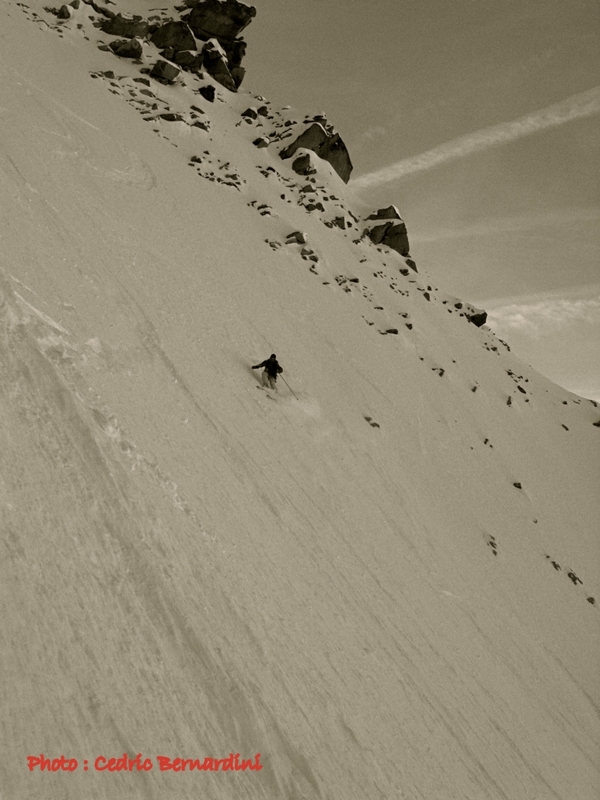 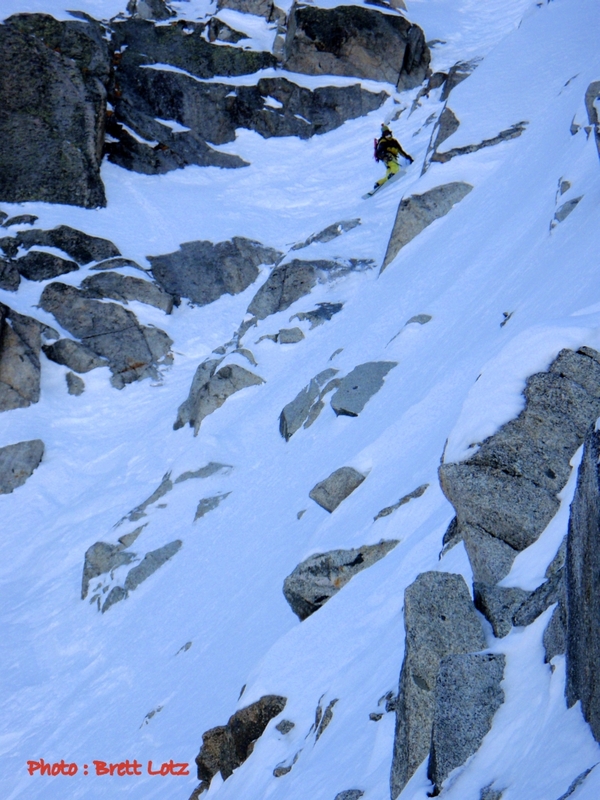 Was my first time there and although the first couloir was full of sharks and we used the rope to pass a 10 m of unskiable terrain, the final face was great riding nevertheless. 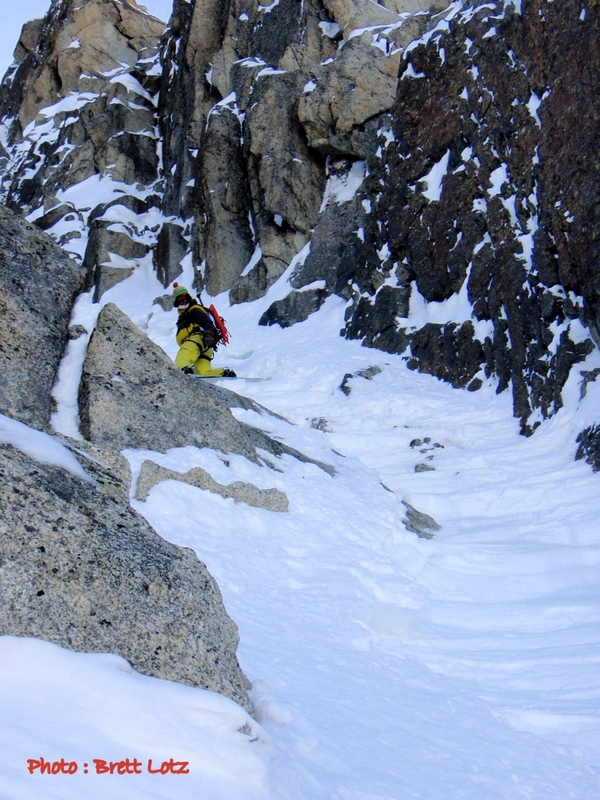 The exit was pretty easy with a 2 m drop. 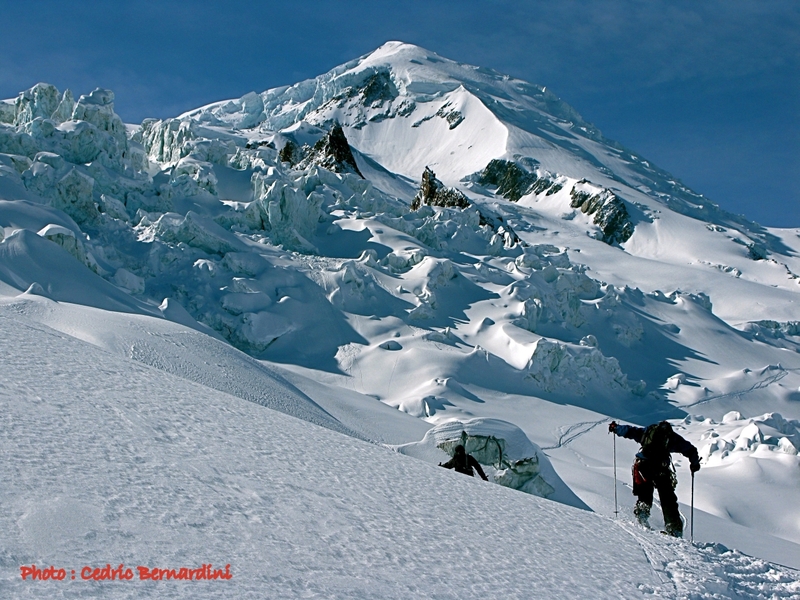 After that we crossed the Bossons glacier to reach the virgin slopes of the “Junction”. 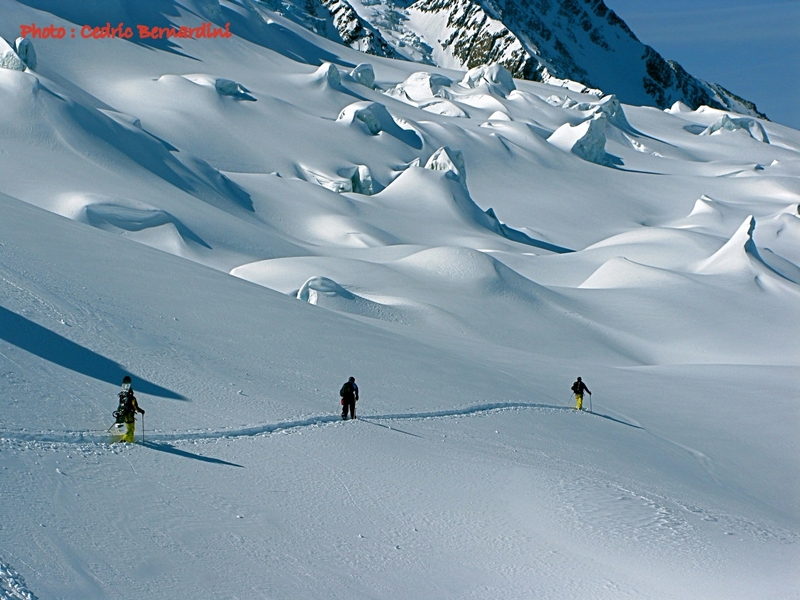 It is always great skiing over there, even if this time the glacier crossing back has been a bit tricky. 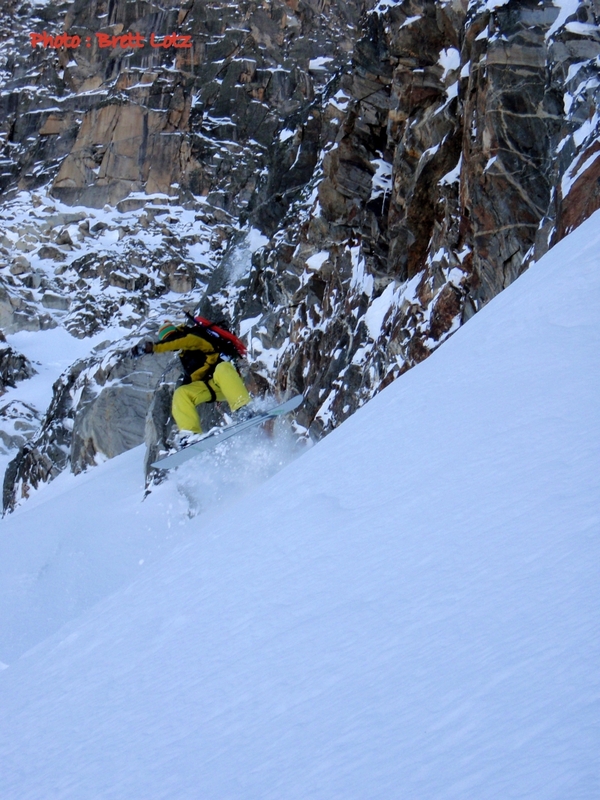 With Cedric Bernardini, Mark Shelf and Brett Lotz.